Since the 1960s, communities across Minnesota and the United States have added fluoride to their community water supplies. 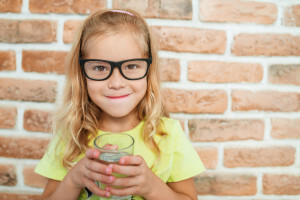 Fluoridating water is an easy and cost-effective way to improve residents’ oral health. Though some consumers find the practice controversial, many scientific studies back up the health benefits of fluoridated water. Here are a few of our favorite reasons to love the fluoride in your water. Fluoride prevents cavities in kids and adults. Fluoride can reduce tooth decay by 25 percent for kids and adults alike across all education levels and socio-economic statuses. It’s no wonder the Centers for Disease Control has called fluoridation of water one of the 10 greatest public health achievements in the 20th century. Fluoride is safe for your family. Fluoride is an element found in most natural water sources, just not necessarily in amounts that prevent tooth decay. The Environmental Protection Agency strictly regulates the amount of fluoride in community water supplies to keep it safe and healthy to drink. Compared to other sugary beverages such as soda and fruit juice, fluoridated water is a great choice for your family. Fluoride strengthens tooth enamel of permanent teeth. Fluoride helps strengthen the enamel of permanent teeth, which protects the rest of the tooth from decay and disease. For kids under age 8, fluoride can even strengthen permanent teeth that have not erupted yet, reducing the chance kids will develop cavities or require fillings. Yes, it does cost money to fluoridate your community’s water. But your community’s investment in fluoridated water reaps a strong return as families and your city’s health care system spend less money on treating tooth decay and related oral diseases. The Centers for Disease Control estimate towns of 5,000 people or fewer save $4 per person and larger cities save $27 per person. Fluoride supports regular brushing, flossing, and recare visits at our office. Fluoride in your tap water helps support the good oral health habits you and your family already practice. In addition, we offer in-office fluoride treatments to children and adults alike to increase cavity prevention. The varnish is quick, painless, and will protect all the teeth in your family. Want to learn more about fluoride or schedule your family’s summer recare visits? Contact Eggert Family Dentistry today.